We have the perfect streamer to fulfill all of your St. Patty's Day needs! 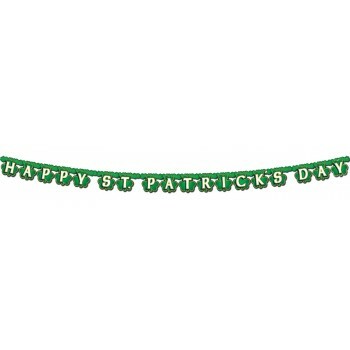 Decorate with pride with our Shamrock Happy St. Patrick's Day Streamer! Includes: Streamer which measures 4in x 6ft 9in. Just the decoration you need for St. Patrick's Day parties, picnics, parades, and other fun holiday productions and festivities!